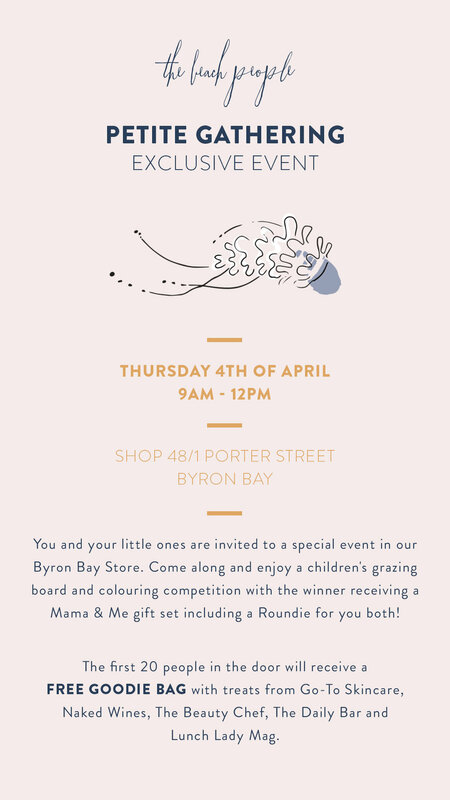 You and your little ones are invited to a special event in The Beach People store this Thursday 4th April. Come along and enjoy a children’s grazing board and colouring competition. The winner will receive a Mama & Me gift set including The Beach People Roundie! PLUS the first 20 people in the door will receive a FREE Goodie Bag with treats from Go-To Skincare, Naked Wines, The Beauty Chef, The Daily Bar and Lunch Lady Magazine.